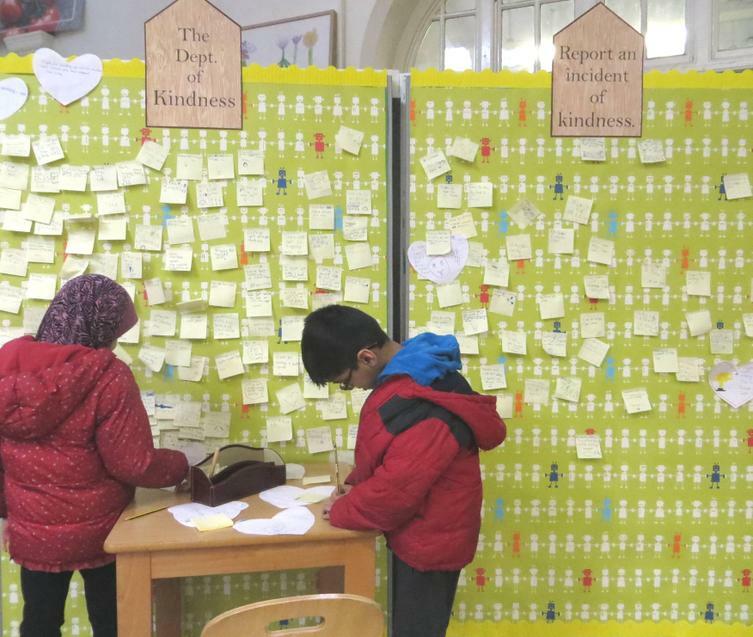 If you walk into both the Junior and Infant halls this month, you will see our new 'Department of Kindness' walls, inspired by the installation at Southmead Hospital. 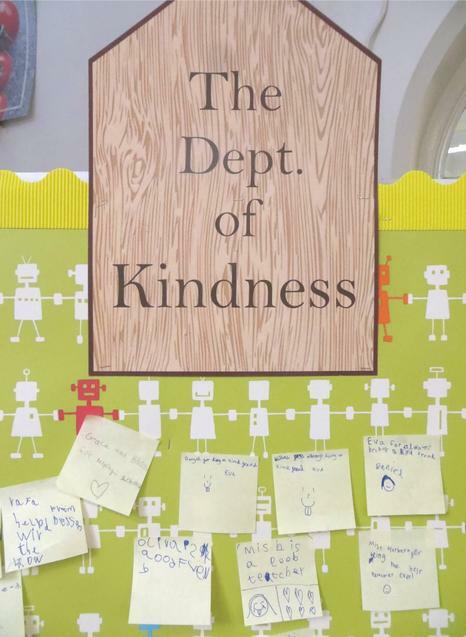 Children are noticing large and small acts of kindness by others and are celebrating them with a post-it note on our recognition boards. 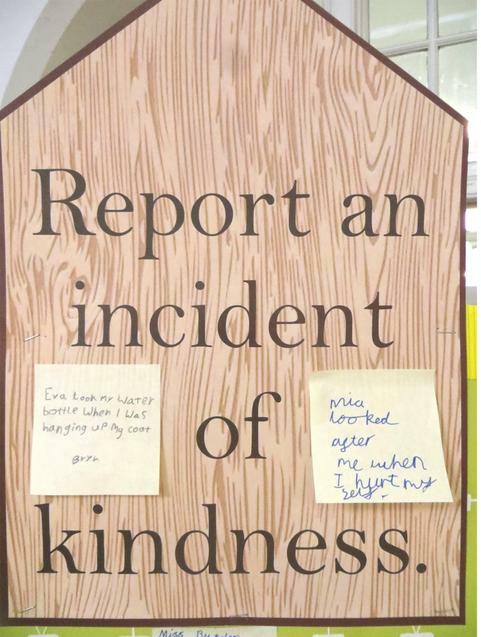 Please do feel free to add some yourselves if you have recognised a deliberate act of kindness by one of our school community and wish for it to be shared.